Our exciting, vivid and evocative displays (generator room, gas filters-room, first aid post, ammunition store, arms store, telephone operation room, radio transmission room and observation post with its range-finder which provides a panoramic view over the Channel within a 25 miles radius) will help you yo relive History of the people who had been waiting for the invasion for three years! You will also be able to see many interesting and unpublished photos and documents about the Atlantic Wall, the biggest building site of the 20th Century which employed over 2 million people. The Atlantik Wall is a system of fortifications built by the Germans during the Second World War. He goes along the Atlantic Coast and extends of the North of Norway in the South of France. In 1941, the United States enter the war against Germany. Adolf Hitler is afraid that the Allies organize a landing on the Atlantic Coasts. He decides the to strengthen the defenses of coast, ports and submarine bases, according to a directive of March 23rd, 1942. He Asks marshal Rommel to organize the defenses which are, according to the latter, ineffective. 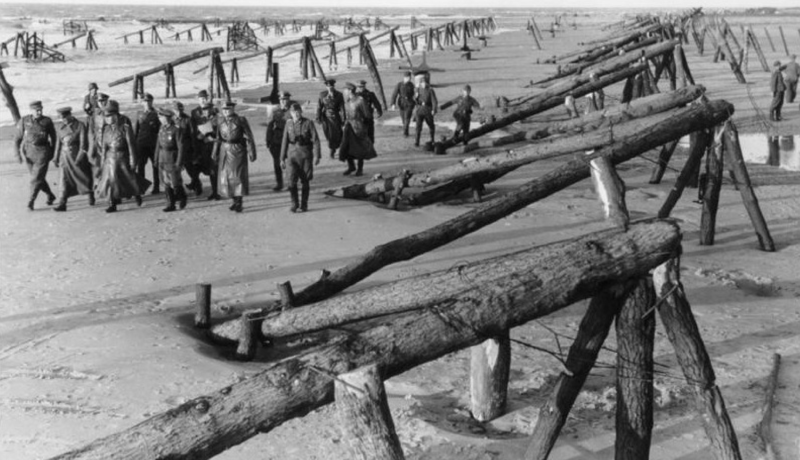 4.000 km long, the Atlantic Wall required approximately 13 million cubic meters of concrete for its construction.